At the touch of a phone, Rwandans living with HIV/Aids will be able to communicate with medical counsellors on their status without having to travel longer distances. ‘CompanionApp’- An application developed by Joel Gasana and Patience Nishimagizwe in 2017, will also remind patients on when to take their medication, and also address the aspects accessibility to professional medical care in real-time. 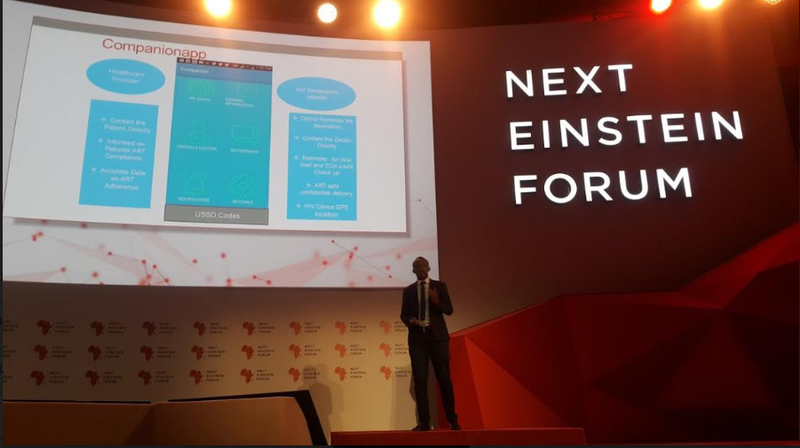 Gasana, 25, was among the three top finalists who pitched their business idea in the Smart Health Innovation category at the Global Next Einstein Forum (NEF) in Kigali, March 28, 2018. At NEF, the Importance of Artificial Intelligence in Personalized Medicine and Healthcare was highlighted. CompanionApp will be connecting all HIV Aids patients to all referral hospitals and health centers across the country. On the global scene the Rwandan app will be an addition to already existing innovation (apps on HIV/Aids) with the most recent being ‘HIV / AIDS Finger Test App launched for android phones in 2017. Other free apps include: AIDSinfo HIV/AIDS Glossary, Liverpool HIV iChart, The Body, Care4Today, GoodRx, HIV ATLAS, HIV Risk Calculator, and HIV Testing Sites & Care Services Locator. “This means that we have a population of people who need to be cared for and statistics indicate that adherence to drugs was a problem and many are reported dead as a result of not taking medication,” said Gasana, a student of medicine at the University of Rwanda. 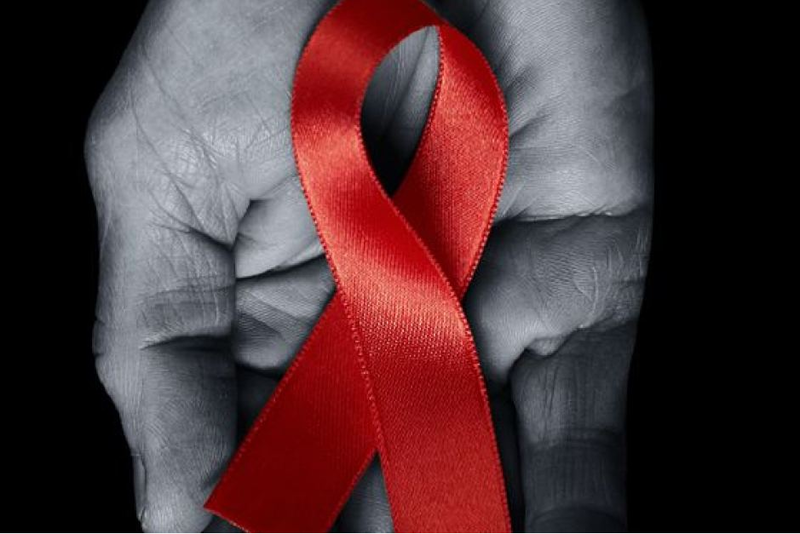 All HIV patients in Rwanda get free medication, testing and counselling from the government, but of the 80% patients on drugs, only 27 percent don’t adhere. The application is made in a way that through sms, the patients will be able to communicate whenever medication is needed and confirmation of a patient taking the drugs. Aline Mutesi, a HIV patient says that this application will cut the phobia and communication barriers that block patients from expressing their status to anyone. “I feel more comfortable and I can imagine being able to talk, in my language Kinyarwanda, to someone for help without seeing them face to face, Mutesi said; this could improve on the problem of the stigma we face”. The app co-founder, Patience Nishimagizwe says that the application will connect the patients to hospitals through providing the GPS location of all HIV services around the country to make it easy for access to one of choice and need. “With this connection, the application will also provide reproductive health education services.” Nishimagizwe said. Though the App, didn’t manage to scoop the $25, 000 grand prize at NEF2018, Gasana and his team plan on making money through the sell of the application to the four referral hospitals and 45 district hospitals in Rwanda. “As a way of connecting with patients in a smart way all hospitals will be required to buy this application so as to have a good follow up on HIV patients,” Gasana said. Endorsement of CompanionApp as legit business will see at least 10 youth employed on permanent basis and many others on temporary contracts.